ZUMBA: Ayala Fairview Terraces Free Zumba! Clockwise: The zumba regulars; my sister; me; my cousin and niece! Its such a delight when malls give out to their community. Like Ayala Malls, specifically Fairview Terraces, they organized zumba classes every weekday morning (good thing we have flexible schedules) this month. After a weekend of family food galore and vegging-out in front of the telly, its just right to make an effort to exercise. And exercise or any healthy activity is more fun with the family so we made it a regular date! In my opinion, Zumba is a whole body cardio work out ‘masked’ in a fun way thru music and of course the enthusiastic mood of the participants. I mean really, you’ll just realize you’re sweating from head to foot at the end of each level but with a smile on your face. So for an effective, fun and memorable work out, do it with your family! BIDA FILIPINO KITCHEN: Bagnet Chips is bida sa sarap! I’ve been meaning to try out Bida Filipino Kitchen since it opened at Ayala Fairview Terraces last December 2014. My sister and I dropped by the mall for errands and finally squeezed in the chance to try out a few from their menu. The first, unanimous choice is their Bagnet Chips of course! Its thinly sliced (how do they do it? ), crispy but not oily goodness served with a refreshing salsa that you’ll ask for a cup or two of rice! If they sell these in bags – here, take my money! Bida Filipino Kitchen’s Bagnet Chips up close! We also had their Sampaloc Iced Tea which is has the right balance of sourness and their Guava Lime Shake, which is a new one for me. I highly recommend to try it out but don’t blame me if you get hooked and crave for Bagnet Chips in the middle of the night! Selfie at The Gastronomy Festival at Ayala Fairview Terraces! My Ate Mabelle and fellow foodie taking a selfie with our favorite reggae band, Sabor Latino! With Sabor Latino’s music in the background, we went around and had awesome food finds: Chef Florabel’s produts, organic produce, Bida Filipino Kitchen’s fare, etc. KANZHU Hand-pulled Noodles: Cold Appetizers! Ever had one of those days when you’re just craving for a certain taste? Like you want to have a bite of something? Well, while my sister and I were at Ayala Fairview Terraces, we spotted Kanzhu! We visit their branch along Timog avenue for their noodles, while watching how the noodles are made by their skilled food staff. But this certain day, aside from noodles, a particular set has the flavors that I have been craving for – their Cold 5-in-1 Appetizer! Its the usual appetizer at Asian (mostly Chinese) restaurants consisting of sliced Century egg, seaweeds, etc. Their customary fish skin appetizer in my opinion, they should sell them out as chips! Sipped a teapot of tea and cravings satisfied without eating too much, we left with big smiles! After Sunday lunch at Tita Sally’s white house (and after telling her about my Savor the Flavors experience yesterday), she decided to go to Eastwood! Well, we are more than willing to go! Its humid because its summer but everyone seems to enjoy going around Eastwood City Park and the Savor the Flavors exhibit. We enjoyed going around the different kiosks despite the hot and humid weather. Tita bought chicharon, snacks and even an eco-oven! My top picks (clockwise) at Savor the Flavors Eastwood City Park: Cebu Chicharon, Mulberry Tea, Amarich products, Toasted Pastillas, Jacob’s Peanut Praline Butter and Ilocos Empanada. Catch the food cornucopia at until today! Delicious original recipes made from organic and local ingredients! These are what we had at GREEN PASTURES – Food review soon! It was almost dinner time so I suggested we try out GREEN PASTURES because of their original recipes made of locala nd organic ingredients. Everyone enjoyed it – a fun chillax Sunday indeed! Savor the Flavors is part of the Department of Tourism’s Flavors of the Philippines festivals, which complements the Madrid Fusion Manila event. An array of traditional Filipino dishes at the food festival! Opening at 11AM, a summer food fiesta welcomed guests, foodies and mall-goers. They had their pick of food while watching traditional fiesta games and native dances. Ilocos Emapanada prepared and cooked right before your eyes! Longganisa of all kinds were also presented, cooked and served. Cebu Chicharon! Hoarded bags of these! Filipino export products like these from Amarich were also showcased. I like their Mango jam, Pancit Lucban and coffee! Organic eggs, organic salted eggs and of course, Balut were in abound. Hand-painted Jeepneys that were entries from Luzon, Visayas and Mindanao were on display. Selfie with my preferred Jeepney entry! At 5PM, cultural performances from Banda Kawayan, UP Singing Ambassadors plus, live folk dance and music by cultural dancers from Angono Rizal. 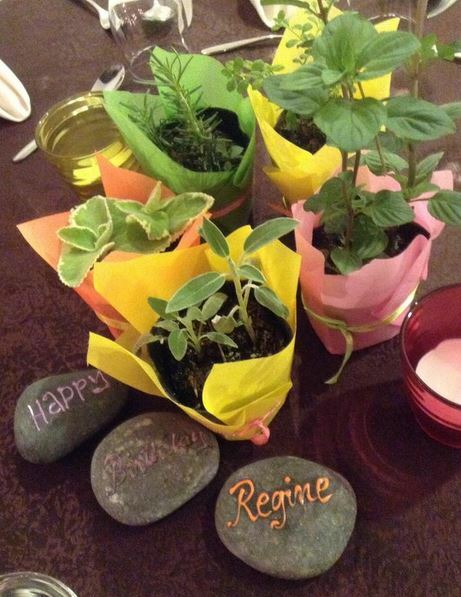 The beautiful set up at Cooking Diva’s surprise birthday party. 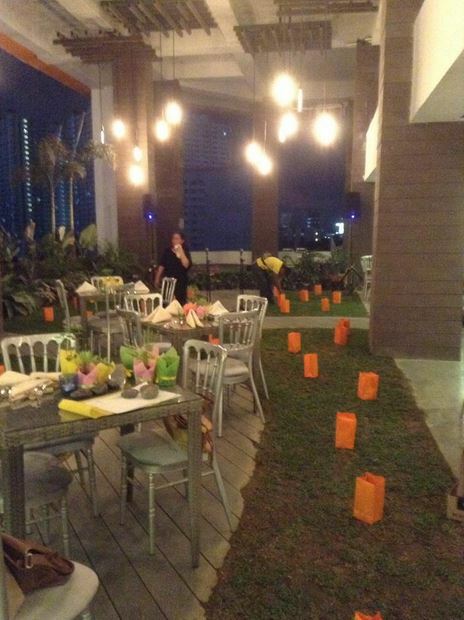 Another shot of the beautiful set up at Cooking Diva’s surprise birthday party. 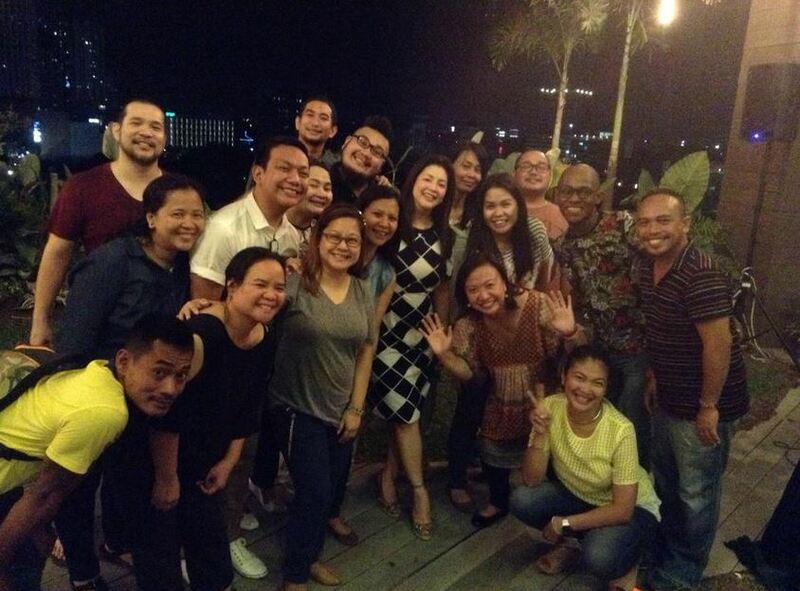 The Sarap Diva staff showed that their love for the Asia’s Songbird goes way outside the studio as they threw her an advanced surprise birthday party last night. 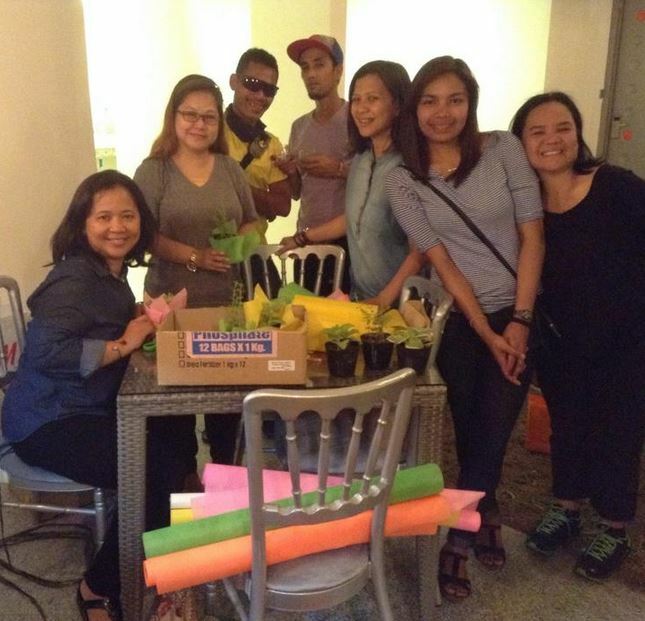 SARAP DIVA Staff setting up the venue for Cooking Diva’s surprise birthday party. Surprise! 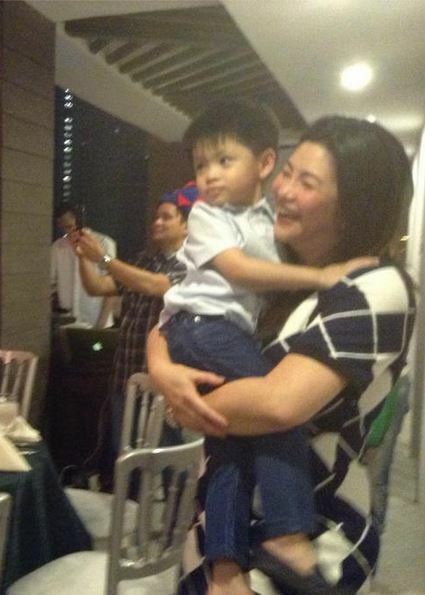 Regine’s siter Cacai Mitra, Dianne Roque, husband Ogie Alcasid and even son Nate was in on the surprise birthday party! Attendees of the event included Regine’s husband Ogie Alcasid and son Nate, her sisters Cacai and Diane, her Sarap Diva side kick Terry Gian aka Inday, Direk Joyce Bernal, Sarap Diva staff, other executives and employees of GMA Network.